Most people do not actively seek out to choose an insurance agent. In fact, it is often true that they stumbled upon their insurance agents by chance. Either these insurance agents have made cold calls, knocked on their doors, stopped them at roadshows, or were simply friends just starting out in the insurance industry. For Heartland Boy, it is a nice gesture to support your friends but it can also get tricky when the lines are muddled. He believes that one should not simply leave it to chance and settle on any insurance agent (or financial advisor representative or financial planner or whatever they like to call themselves) that he or she meets on the street. Instead, it should be a calibrated and conscious attempt to choose a good insurance agent who is best placed to serve your interests. Since it is “out of the norm” to choose an insurance agent, here are some tips from Heartland Boy on how to choose your insurance agent. The most important quality that makes a good insurance agent or broker is commitment. It is imperative that the insurance agent is committed and in it for the long haul. Indeed, it can be a frustrating episode if it is different persons serving you when you sign your policies and when you make claims. Your new agent has to start with you all over again, and honestly, may not be motivated to work on your existing policies especially when the commissions were already given to the initial agent. Therefore, avoid fly-by-night insurance agents at all costs. Years of experience: You know that your insurance agent is committed if he or she first started out by serving your parents. Passion- Your insurance agent is committed if he or she is passionate about financial planning. Some obvious signs are achieving professional qualifications that are beyond the prerequisite, sharing about related news on social media etc. If Heartland Boy is going to listen to the advice of an insurance agent, he wants to make damn sure that this advisor is more qualified and knowledgeable than him on financial planning. Therefore, a competent insurance agent is able to assess your financial needs holistically, make the right diagnosis and recommend the appropriate insurance policy. Competence in a field can generally be gleaned from formal training or on the job experience. Check whether your insurance agent’s certification on Chartered Financial Consultant or a Chartered Financial Planner. Let’s be honest, how many people truly understand the differences between total permanent disability (TPD), critical illness (CI) and early critical illness (Early CI)? The Policy Document is often replete with jargon that it only serves to intimidate the general man on the street, which obviously includes Heartland Boy! Therefore, your insurance agent should have the ability to listen to you, gauge your level of understanding in this industry and relate these terms to you adequately. Perhaps, one should see an insurance agent as a tuition teacher. A good tuition teacher is someone who is able to use various methods to explain the same concept so that the student understands and remembers it. This ensures that you sign on the dotted line fully aware of what you are getting yourself into. An honest insurance agent who acts with integrity and good faith is equally important as well. None of us like insurance agents who shove policies down our throats. Similarly, you want to avoid the situation whereby you are recommended unnecessary insurance policies because of overzealous insurance agents eager to meet their quarterly targets. Therefore, the insurance broker must recognize and respect that you are the final decision maker. You should be able to confirm this intuitively from the first few consultations with the insurance agent. For Heartland Boy, it took him over a year before he finally settled on Bingyang to help him with his financial planning. In Heartland Boy’s opinion, Bingyang has the qualities of what makes a good insurance agent and easily meets the criteria outlined above. Before approaching Bingyang, Heartland Boy first observed from the sidelines by reading the articles that he had written on his website and yahoo finance etc. Moreover, Heartland Boy was also very impressed by his excellent resume which was replete with professional certifications and qualifications. Convinced, Heartland Boy set up a meeting with Bingyang. Bingyang did not attempt to sell any insurance policy in the first few meetings. Instead, the time was spent understanding about Heartland Boy’s family nucleus, financial background and financial goals. Won over by his sincerity and patience, Heartland Boy recommended Heartland Girl to Bingyang too. It was not until the fourth meeting that the Heartland Couple finally signed something with Bingyang. And it was a very simple accident plan for Heartland Girl with a miniscule premium. 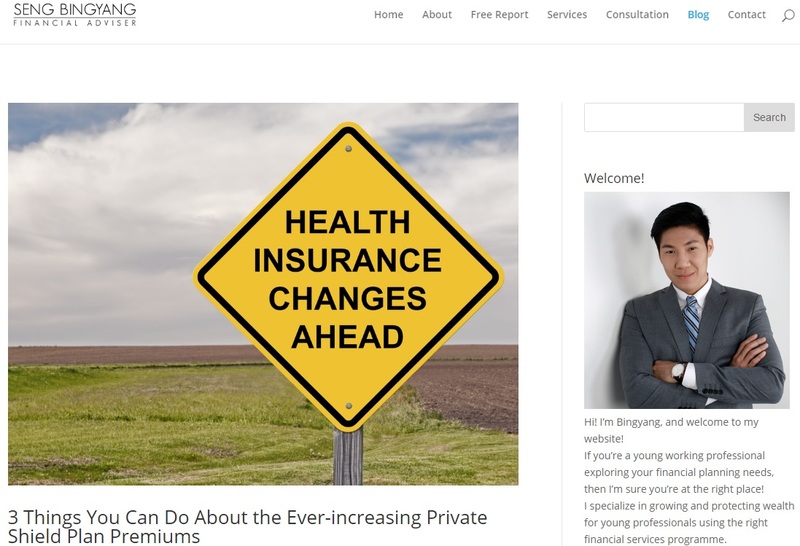 Heartland Boy can also vouch for Bingyang’s excellent after-sales service since the accident prone Heartland Girl needed to make a policy claim shortly after signing the accident plan. Overtime, the Heartland Couple has developed a friendship with Bingyang and it is truly enjoyable to simply meet up without any hidden agenda from both parties. 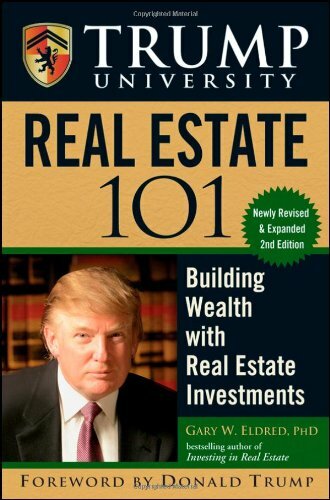 Donald Trump, someone whom Heartland Boy respects as a real estate mogul but not necessarily as a political candidate, once said in Trump University that his organization is successful because he hires only the best people. Donald Trump recognizes that he cannot be an expert in every field, and therefore he hires the best lawyer, the best tax consultant, the best project manager etc. Likewise, Heartland Boy realizes early on that insurance and him are like oil and water. They simply don’t mix and hence Heartland Boy is very glad to be able to depend on Bingyang’s expertise in insurance. Here is wishing you luck on finding a good insurance agent in Singapore. P.S. Maybe Donald Trump should recognise that he is best as a businessman. Your agent is indeed patient. Just as it’s important to find the right insurance agent, have you thought whether are you the right client for your agent? After 4 meetings and you only bought a personal accident plan which soon after a claim was made sounds like every agent’s nightmare. Unless you buy more products or pay him a fee for the good service, you are merely just taking advantage of his kindness. You are right, it is important that I am the appropriate client for my agent as well. Bingyang specialises in financial planning for young professionals, so that makes us a good fit. I did buy more products from him subsequently, but I do not feel the need to disclose that since my point was to emphasise his sincerity and patience. Thanks for reading my post! I’m glad that you brought up the importance of finding an insurance agent who understands you and the industry you are in. That way, they can provide you with the best advice and direction concerning your business insurance. There are many specific variables to consider when getting the most out of your insurance. An agent who understands your business can help with much of these considerations. My brother needs to get insurance and I was wondering what he should look for in an agent. You wrote that one of the purposes of an insurance agent is to help ensure the client understand what they are signing up for. This would be perfect for my brother, as this is really his first time getting his own insurance. Thank you for the great read.